What do you get when Dollyrots and a Bowling for Soup join forces? 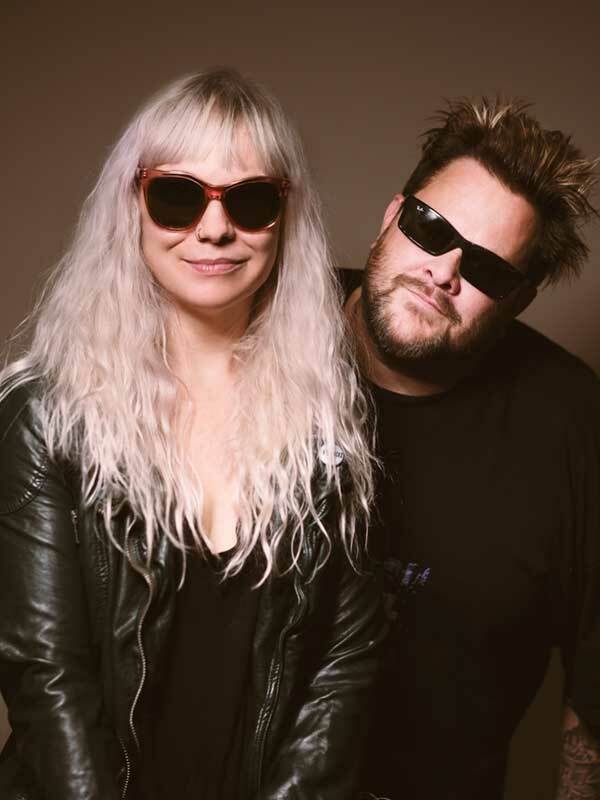 You get an antidote to Jack White and Alison Mosshart, Isobel Campbell and Mark Lanegan with Jaret Reddick and Kelly Ogden showcasing their pop punk levels of royalty. Having been friends and tour mates for over a decade, collaborating many times before, including their covers record One Big Happy and a duet single “Love Ya Love Ya Love Ya,”. Most recently the twosome recorded the theme song, Those Were the Days,” for ABC-TV’s new sitcom, “Schooled,” a spinoff of the highly successful 80s sitcom, “The Goldbergs,”. What we have is fourteen Jaret and Kelly tracks to make up Sittin’ in a Tree, to be released via Whiskey Joe Records on the 22nd March 2019. Opening with bouncing BFS style “Here We Go” the beginning of intense pogoing. It sounds fluffy and best friends forever sort of feel, even if there is the occasional swear word penetrating the fast pop riffs. The two rockers work well together and this has been built up over many years performing and, on the road, together. The jumping stops as we hear acoustic ballad, “Butterflies” it’s a campfire tune, swaying side to side while being in the friendzone somewhere in Epping forest. A pop, punk, rap beat on “Rocket Ride” is a fun tune as I picture Weezer in Al’s restaurant. The duo head full on enthusiasm in “Yourself Again” their back and forth is catchy and shows they’re top of the pop punk league with a fast-paced guitar riff. “How do We get Here”’s intro riff is very Mavericks. I half expect to see Ross, Rachel and the others falling on fountains and stuff. They wear their heart on their pop sleeve with “Daddy’s Girl” a tender insight into their minds. It changes though as they move into “You Win” and finish with “Even If It Kills You” heading back to their fast-paced riffs and partnership the two have in the music world. If you’re fans of Bowling For Soup and The Dollyrots then funnily enough this may be a record you will engage with.